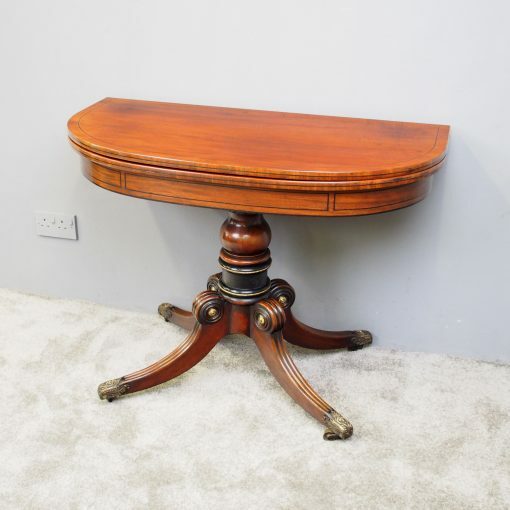 Circa 1815, Scottish mahogany D shaped card table. 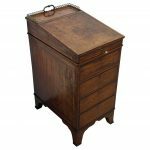 With ebony string inlay to the front, the hinged top opens to reveal an inlaid interior and it has a frieze decorated with ebonised panels. 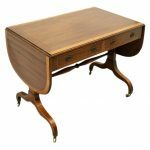 The quadruple sabre leg base has ring turned sections, banded in gilded brass and continue down to a foliate cast brass toe and castor.